Tis' the Season to start your Holiday gift giving and why not give a gift that was made with the love of our beautiful coast in mind! 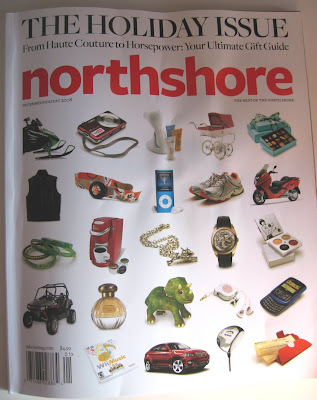 The December 2008 Holiday issue of the North Shore Magazine has featured work from two artists of the Boston Handmade team. 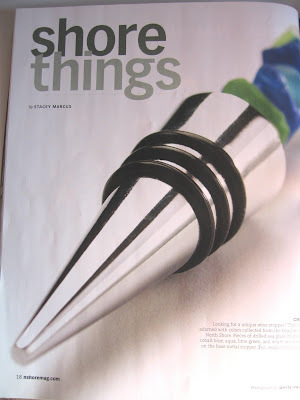 Sea Glass Things and Brooke Pickering of Bancroft Studios have great representation is this upscale magazine this December. Sea glass wine stoppers and handmade ceramic chowdah bowls make the perfect gift for anyone. 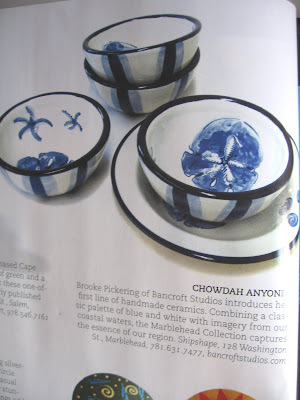 Being from the North Shore (Salem and Marblehead), our items are truly inspired from the coast and sea. The sea glass wine stopper featured was recently purchased and will be heading to Needham this week! Check out the online article as well below. Our work can also be purchased in the Boston Handmade store in Downtown Crossing until December 28th!